Sarina’s is a well known florist that has been operating in the Eastern Suburbs of Sydney for many years. 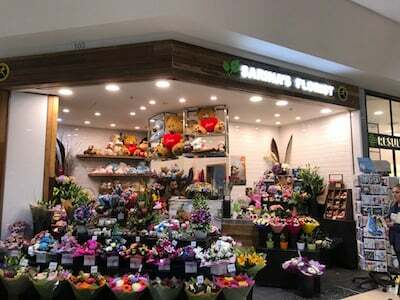 We have been located in the Westfield Eastgardens Shopping Centre for the past 18 years with a small team of dedicated floral designers. With our wonderful array of flowers let our skilled designers make your important occasion that extra special one. We also have a large range of toys, balloons, chocolates & wine to add to your order. We deliver Monday to Saturday and can offer the Interflora service for destinations within Australia & overseas.